For decades, a post-high school year of Torah study in Israel has played a crucial role in shaping young observant Jews’ future spiritual identities and connection to Judaism. But not all have the opportunity to enroll in a seminary or yeshiva before they begin their college studies. Students pick tomatoes for Leket’s Table to Table program, which are used to create meals for the needy. 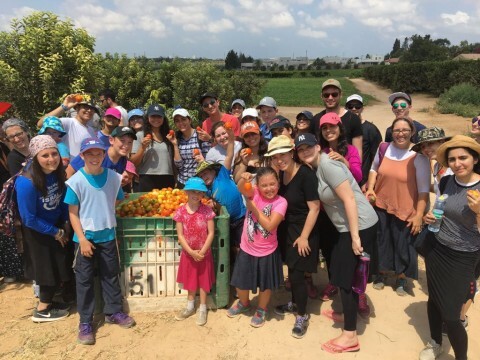 Now in its tenth year, Yeshiva University’s July in Jerusalem Program provides a unique opportunity for Jewish students from any college or university to immerse themselves in a month of learning, traveling and giving back to the land of Israel. 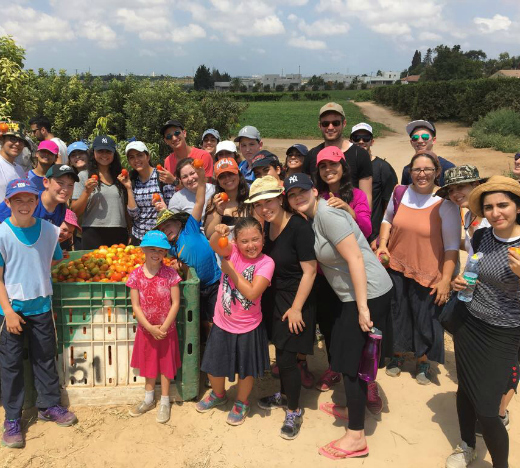 For each morning of the four-week program, students came together to study such topics as the relationship between the Jewish nation and the Land of Israel in the Bible; the psychology behind mitzvot; Jewish philosophy; Talmud; and prayer. They spent the afternoons volunteering at organizations such as a treatment center for elderly dementia patients, soup kitchens and Hatzalah. In the evenings, the students explored the Land, kayaking down the Jordan River, walking through the ruins of ancient synagogues and dancing at the Kotel on Friday night. Many students also shared in chavruta [partnership] learning with other YU students who are in Israel right now participating in the YU-Bar Ilan University Summer Research Initiative, which gives undergraduates the opportunity to study in the labs of top Israeli scientists. At the end of the July in Jerusalem program, each pair of chavrutas presented what they had learned together at a siyum [celebration of completion]; many will continue to learn together when they return to YU’s New York campuses in the fall. “The highlight of my experience were all the times when I got to speak outside of class with the rabbis and all teachers and administrators to learn and hear advice about their own lives,” said Laura Lachman of Baranquilla, Colombia, who graduated this spring with a degree in accounting from Sy Syms School of Business. July in Jerusalem is made possible with the generous support of Mary and Gerald a”h Swartz.